Channel 4's The Great British Bake Off debut was watched by a total of 12 million people, according to the latest figures, which include time-shifted viewing on TVs, online and on-demand. The broadcaster said that the show, which during its live broadcast drew a 6.5 million-strong audience, was watched by a consolidated audience of 9.5 million, achieving a 35.4% share. Channel 4 said the consolidated audience, which also accounts for time-shifted viewing on a TV set over a seven-day period, included 2.7 million 16-34 year-olds, meaning that Bake Off has become 2017’s biggest programme so far among younger viewers of all the terrestrial channels. Repeated showings on Channel 4, E4 and 4Seven were watched by a further 1.5 million viewers and an additional 1.1 million watched it on All 4, making it the on-demand channel’s largest-ever catch-up audience within seven days. Another 70,000 people streamed the episode via All 4’s Watch Live. The second episode of the show, which aired last night, attracted an average audience of 6 million viewers and a 27.6% audience share, peaking with 7 million viewers, Channel 4 announced today. It was the most popular programme in the 8pm-9.15pm slot and attracted 50% of Channel 4’s key demographics of 16-24 year-olds and the biggest proportion of ABC1s. Airing at the same time, BBC1’s Holby City drew 3.7 million viewers, according to unofficial overnight figures. Bake Off’s debut marked Channel 4’s strongest overnight performance of the past five years, since the opening ceremony for The Paralympic Games in August 2012. 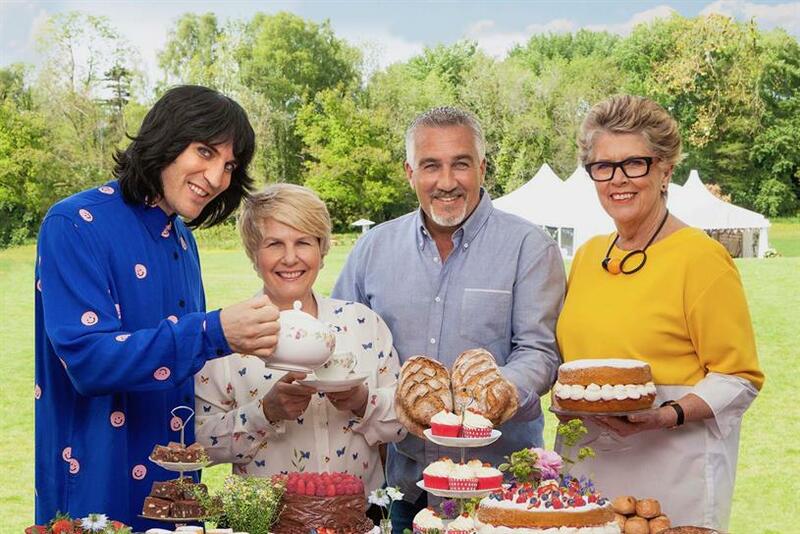 Jay Hunt, Channel 4’s outgoing chief creative officer, said: "Bake Off has well and truly landed on Channel 4 with episode one delivering the highest number of young viewers for any show on any channel this year. I’m thrilled viewers have warmed to Paul, Prue, Noel and Sandi and are enjoying the exceptional standard of baking."